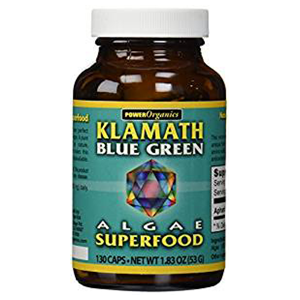 Blue green algae or Aphanizomenon flos-aquae (AFA) is an edible, highly nutritious fresh water microalgae that grows in wild pristine waters of Upper Klamath Lake in North America, where all pure AFA grows and has been harvested since the 1980's. BGA contains a wide spectrum of nutritional components including phenethylamine (PEA), chlorophyll, carotenoids, B vitamins, polysaccharides, omega fatty acids, phycocyanin, active enzymes, complete proteins, a host of macro and trace minerals as well as a full array of other phytonutrients. Klamath lake is part of the mineral rich "ring of fire", collecting a yearly average of 50,000 tons of thick mineral-rich silt deposits from the surrounding volcanic landscape basin. It is acknowledged as one of the most nutrient dense lakes in the world for this reason and more than adequately supplies this blue-green microalgae population with plenty of food to thrive on and proliferate. It is considered a top superfood among many health experts for its positive influence on cognition, physical energy, immune and mental health as well as nutrition for general nervous system functions. AFA taken as a dietary supplement is known to help alleviate depression, improve memory, reduce inflammation and is well known for its effects at increasing mental focus and concentration. "AFA is one of few dietary foods that grow naturally in the wild without man’s intervention. 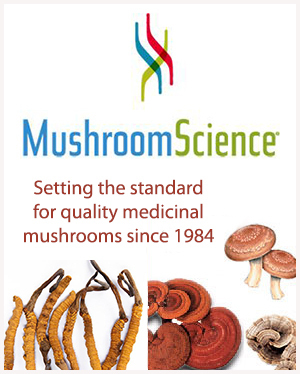 It shares this characteristic with wild mushrooms harvested in small quantities by mushroom hunters, and herbs harvested in the virgin rainforests of South America, China, and Africa." Christian Drapeau, Author of "Primordial Food"
Species of cyanobacteria, also referred to generically as "blue-green algae", were one of the first oxygen-producing bacteria on earth and are largely responsible for the evolution of the ecosystem. Today, these species still continue to produce over 70% of all oxygen in our biosphere. While there are many types of blue green algae found all over the earth in both freshwater and marine environments, most all are toxic and inedible for human consumption. The specific species, known as AFA or Aphanizomenon flos-aquae, grows all over the world. 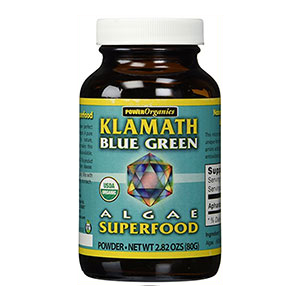 However, the only type we are referring to, as an "edible" microalgae, comes from the clean nutrient-rich waters of Upper Klamath Lake, Oregon, where all high quality, non-toxic blue green algae supplements and powders are created. Unlike other wild freshwater AFA, these products are monitored, harvested, filtered, tested and further low-temp processed to ensure maximum amount of preserved nutritional value. Because it is a soft bacteria that lacks a membrane-bound nucleus, when consumed its concentrated nutrients are known to be easily digested and assimilated. The lake itself is far away from any major city and is surrounded by wild publicly owned lands including the Cascade Mountain Range, Upper Klamath National Wildlife Refuge, Winema National Forest and Crater Lake National Park. The AFA in Klamath Lake prolifically "blooms" annually producing a large biomass that accumulates close to the waters surface. The lake is reported to provide more than 60 times the nutrients needed for the cyanobacteria bloom. Receiving an good amount of sunlight throughout the year, and in combination with favorable alkalinity of the lake, it provides the perfect growing conditions. Is BGA Right for You? 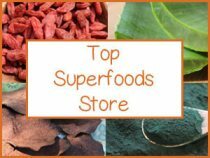 Microalgae powders and liquid extracts are one of our top recommended superfoods to add to the diet because they contain concentrated doses of nutrients not found in other foods. Not all microalgae's are created equal, however, and you must find the right ones that work best for your unique constitution. This may include one or all of the following microalgae's: spirulina, chlorella, marine phytoplankton and, of course, blue-green algae. 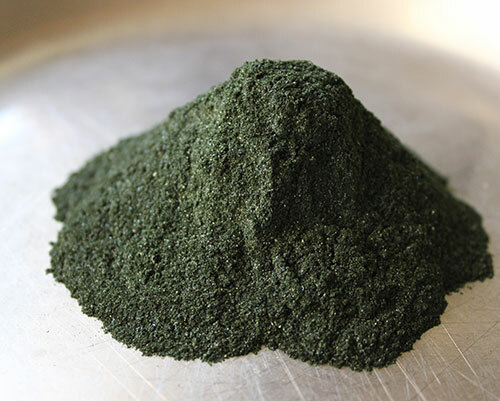 BGA has a nutty flavor and is quite pleasant tasting (in an algae sort of way) compared to chlorella or marine phytoplankton. One of the drawbacks to consuming lots of blue-green algae is that it is usually a bit more expensive than other algae supplements. This is most likely due to the fact that it comes from a limited wild source as opposed to cultivated algae's that are not location specific. But remember, a little bit goes a long way because it doesn't take much to experience the benefits. There are two unique brain-specific phytochemicals in AFA called phenylethylamine (PEA) and phycocyanin as well as a number of nutrients that help to increase brain power and enhance mood. AFA algae is also found to contain high amounts of phenylethylamine (PEA), commonly referred to as the "molecule of love" for its ability to naturally induce an optimistic state and provide feelings of euphoria. Also found in raw chocolate, to a lesser degree, PEA is synthesized from the amino acids phenylalanine and tyrosine. Our PEA levels are known to naturally increase when we "fall in love" but can also move up the scale when we are captivated with a project, are sexually aroused or we experience the endorphin rush from a "runners high." "I've had people who've been depressed for years and years, and literally, within a few days after receiving AFA their depression lifts." "A wonderful and unique blend for peak performance of body, mind, and spirit that should be included in any detoxification and rejuvenation program. I take it myself daily." PEA is essentially nature's natural anti-depressant and also causes a rise in dopamine levels in the brain. Phenylethylamine positively influences the areas of the brain that involve mental focus, alertness and our ability to concentrate. 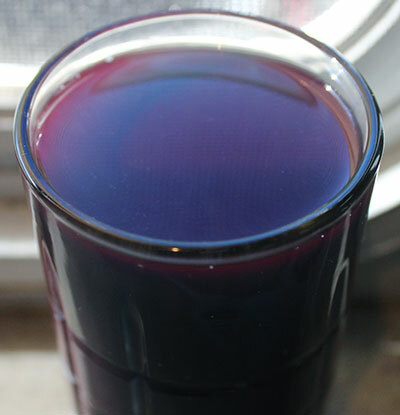 Phycocyanin is a light absorbing stable protein that contains the blue pigment in blue green algae that is recognized for enhancing the function of the brain and central nervous system. 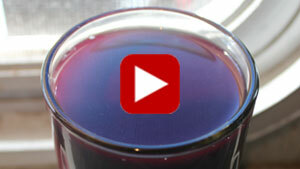 It is very rare in foods but is especially concentrated in the edible microalgae varieties. 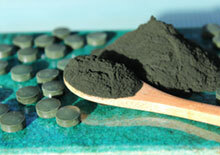 BGA is the highest known food source, containing twice the amount of spirulina. Phycocyanin helps draw together amino acids for neurotransmitter formation in the brain, which contributes to its effects at increasing mental capabilities. Almost 50% of the lipid content of dried blue green algae is composed of omega-3 fatty acids, primarily alpha-linolenic acid (ALA). The ALA in blue green algae powder or liquid extracts can be potentially converted to DHA which can further influence overall health and brain function. DHA plays a vital role in the proper functioning of the brain, eyes, heart, reproductive glands, nervous system and hormone receptors. 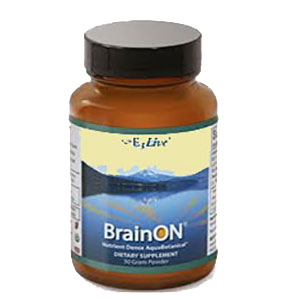 Additional nutrients like B vitamins and choline also support healthy brain chemistry and neurological activities. Choline is a precursor of acetylcholine, a neurotransmitter vital to nerve and muscle function. 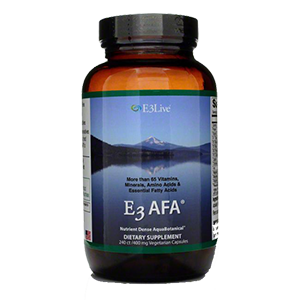 AFA includes thiamine, riboflavin, niacin, biotin, pantothenic acid, pyridoxine, folate and a non-absorbable form of B12. B vitamins are known energy enhancers and some, like thiamine, are required by neurons (brain cells) for proper neurotransmitter production. B6 (pyridoxine) is necessary for the conversion of the amino acid tryptophan into serotonin, a neurotransmitter important for mood. B3 (niacin) is helpful for the synthesis of tryptophan, a precursor to the neurotransmitter serotonin, believed to contribute to feelings of well-being and is important for memory and learning. Chronic deficiency of B3 can lead to neurological disorders like dementia and disorientation. 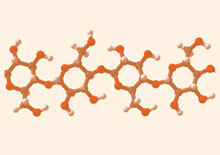 Pantothenic acid acts as a coenzyme for the synthesis of the hormone melatonin, which regulates sleep cycles. 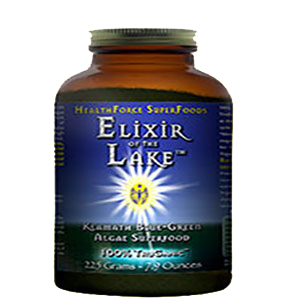 Blue-green algae is a source of antioxidants, chelated minerals and polysaccharides that all help to foster a healthy immune system. Some primary antioxidant compounds include: carotenoids (beta carotene, lycopene, lutein), vitamin C, chlorophyll and phycocyanin. 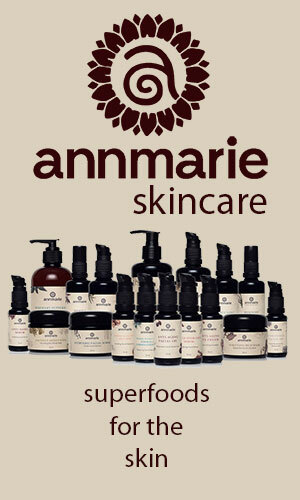 As antioxidants they naturally help to inhibit oxidation and protect our cells against the damaging effects of free radicals. Oxidative stress is thought to be a key factor in cognitive decline. Carotenoids, and beta-carotene in particular, have been shown to significantly stimulate immune response and are important nutrients for the eyes and skin. According to the article entitled "The Role of Carotenoids in Human Health" written in the journal of Nutrition in Clinical Care it states that, "Dietary carotenoids are thought to provide health benefits in decreasing the risk of disease, principally certain cancers and eye disease." 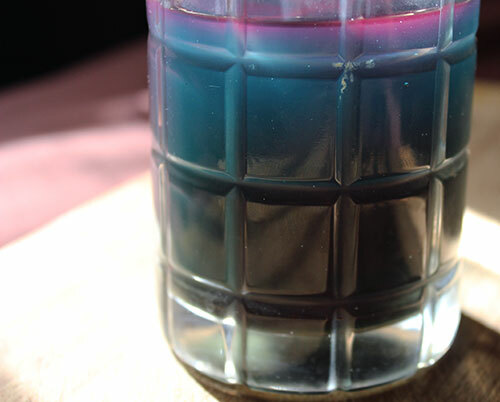 Phycocyanin in AFA likewise possesses potent antioxidant and anti-inflammatory properties that promote a healthy strong immune system and has been extensively researched for these benefits. 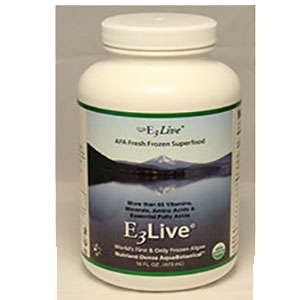 In a 2010 study documented in the Journal of Medicinal Food, it states, "Oxygen radical absorbance capacity of phycocyanin and phycocyanobilin from the food supplement Aphanizomenon flos-aquae" it was verified that the "natural compounds from A. flos-aquae as dietary antioxidant supplements are helpful in the treatment of clinical conditions related to oxidative stress." Additional information provided in the book, Primordial Food, suggests that phycocoyanin is able to block the production of the inflammatory called eicosanoid leukotriene B4 and is also shown to inhibit the COX-2 (cyclo-oxigenase), an enzyme that causes inflammation in the body. The phycocyanin present in AFA has displayed chemoprotective properties that help to guard our immune system from toxins in the air, foods and environment. 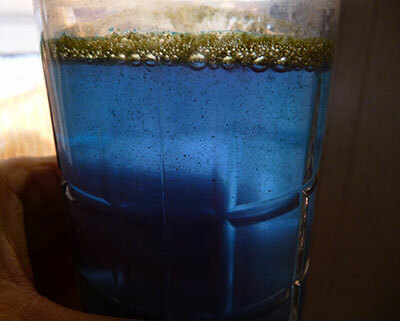 Moreover, blue green algae is abundant in chlorophyll, which is efficiently photosynthesized from the amply amounts of sunlight it receives in its growing location. Chlorophyll is the green pigment in plants responsible for photosynthesis and when consumed helps to cleanse the blood and fortify immune health. A 2010 study entitled, "Effects of blue green algae extracts on the proliferation of human adult stem cells in vitro: a preliminary study" it was concluded that "AFA cellular concentrate may act to promote proliferation of human stem cell populations." Stem cells help to repair damaged cells, but as we age have a less restorative outcome and are more prone to oxidation. Christian Drapeau, one of the leading researchers in the field of adult stem cells, writes "AFA enhances the release of stem cells from the bone marrow. A dose of 5 grams of AFA is shown to increase the number of circulating stem cells." In another study conducted on natural killer cell activity, it was shown that regular supplementation of blue-green algae, only after a few weeks, triggered a significant movement of about 40% NK cells from the bloodstream into the tissues. 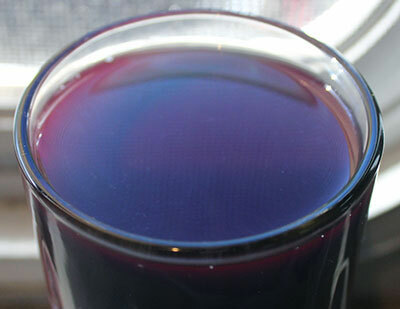 This was believed to be caused by various polysaccharides and related nutritional components in the algae. NK cells are known to help kill cancerous and virally-infected cells and are especially beneficial to the tissues where they can further scavenge out these diseased cells. 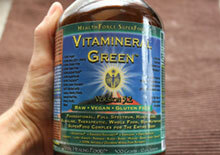 BGA is an energizing superfood in part due to its abundant array of vitamins, minerals and protein content. Many people who follow a high raw diet usually supplement with blue-green algae or spirulina because they are a rich source of protein (50-70%) and include all essential amino acids needed by the body. In addition, the protein is a soft walled variety that is much easier to absorb. 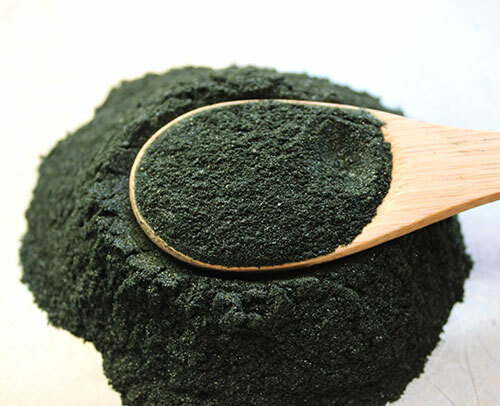 AFA algae contains the minerals iron, zinc, selenium and magnesium. As discussed, it also includes plenty of B vitamins, one of which is riboflavin. Riboflavin is a helpful nutrient for the metabolism of iron needed for blood cell formation. 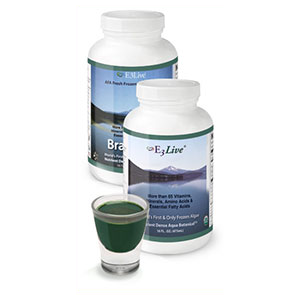 Blue green algae has a soft cell wall that makes it especially easy to digest and is additionally full of live active enzymes which further enhances metabolism and the efficient intake of nutrients. 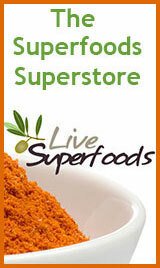 This particular characteristic makes BGA a great superfood for malnourished individuals. This is a live, liquid version that is purchased frozen and must be kept refrigerated before using. It is closest to the algae's natural state and is reported to preserve a greater amount of nutrients. It has a shorter shelf life of between 7-10 days after defrosted. 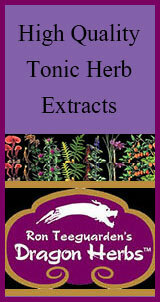 BGA is available in dried form either as a powder or flakes. 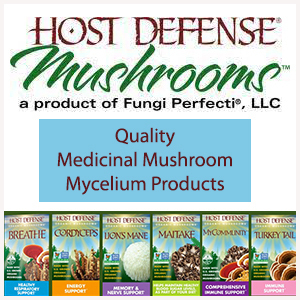 High quality brands are often triple-filtered and use cold temperature drying methods to preserve the natural enzymes and nutrients present. The powder is also encapsulated for convenience. In recent years there has been some controversy that AFA supplements may contain certain "cyanotoxins" like microcystin and BMAA. These are contaminants known to be produced from specific cyanobacteria in their blooming stage. Microcystin is primarily created by certain cyanobacteria's such as the species Microcystis aeruginosa and those in the genus Planktothrix, not by AFA itself. These cyanobacteria can potentially contaminant unmonitored AFA blue-green algae which can be inadvertently collected during the harvesting process. Microcystin is known to cause liver damage in high dose amounts. Because levels of this toxin have been detected in some inferior algae supplements, most quality suppliers test for purity as well as closely monitor its growth cycle. BMAA (β-Methylamino-L-alanine) is an amino acid compound found in many species of cyanobacteria all over the planet and is a neurotoxin when consumed in high doses. Under the perfect conditions it can proliferate and pollute wild water sources. It has been found to a large degree in marine fish as well as in tap water. Visit our Aphanizomenon flos-aquae page for more information about the cyanotoxins, microcystin and BMAA. 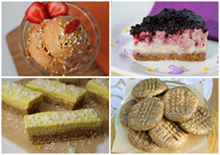 We always recommend using high quality BGA products that are lab tested and verified free of any impurities or potential toxins just to be sure you are getting the best available form of this dietary algae. The AFA supplements we recommend are now actually certified organic and undergo appropriate quality controls and thorough testing for possible contaminants. 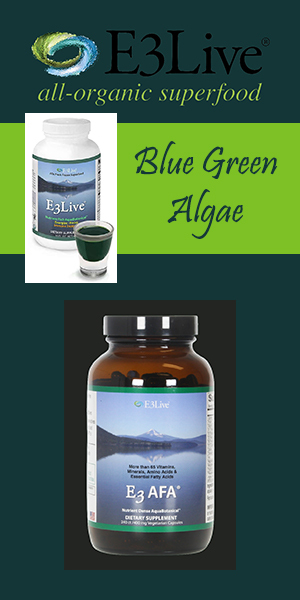 There are four main brands that we recommend using for the most potent blue green algae benefits. E3Live happens to be our personal favorite. 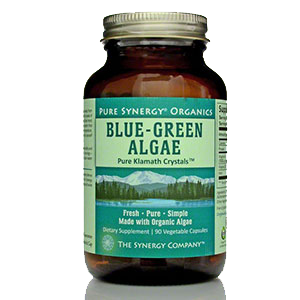 Since 1991, they are a company that exclusively sells high quality blue-green algae as opposed to other products. 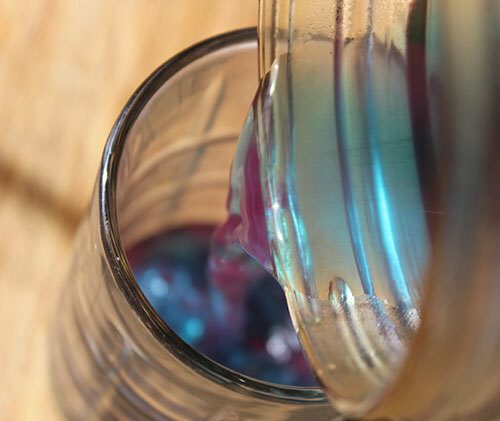 Our favorite way to use the powder is by mixing 1t into a glass of pure water. 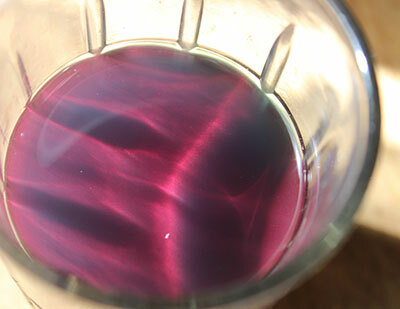 This is when the blue-green color is most apparent and is like drinking some kind of magic potion. If you let it sit for a few minutes, it turns a turquoise color. 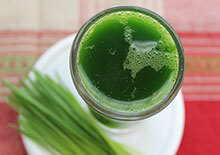 You can also use this glistening green food in green smoothies, green juices, shakes and raw desserts. It is especially wonderful when blended with coconut water and a little vanilla stevia solution. It is important to start out slow and build up to higher amounts over time. 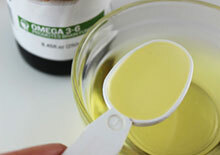 BGA, when taken in higher doses, may cause cleansing reactions in some people. Consult your healthcare practitioner prior to use when pregnant, nursing, taking prescription medications or if you have a serious medical condition.